The title and synopsis for the season 7 premiere has been revealed. Synopsis: Last season ended with Rick and our group kneeling helplessly before Negan and his group. What Negan does will haunt those who survive forever. 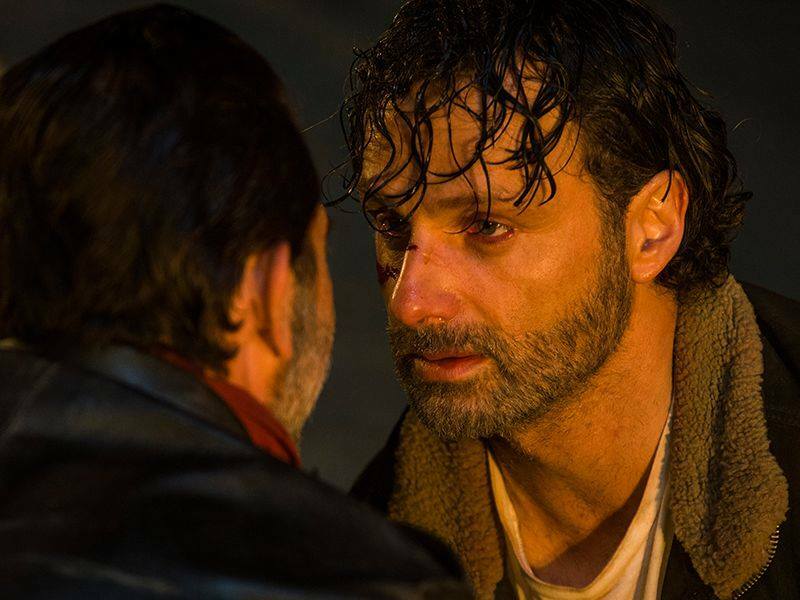 Rick: "I'm going to kill you."